Gorilla by Dinafem definitely lives up to her origins, boasting sky-high potency, excellent flavour, and true hybrid vigour. The award-winning indica delivers an effect that is as strong and powerful as a smack from a lumbering silverback! The lady is not too difficult to grow, and shines with very high resin production and massive yields. 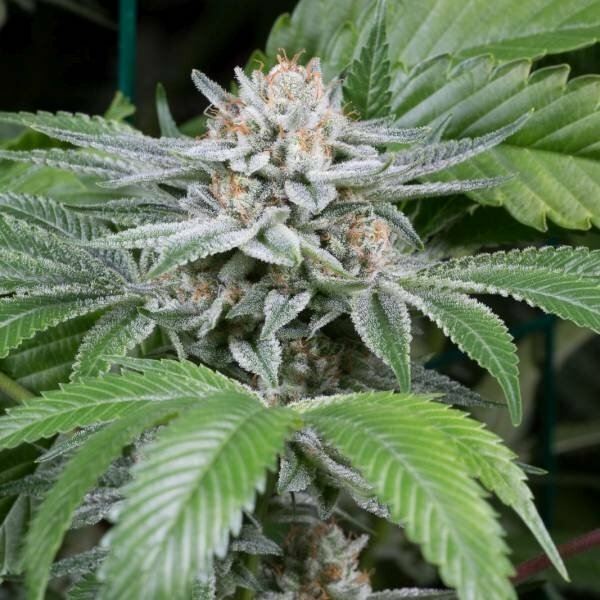 The famed Gorilla Glue, one of the most highly-acclaimed (and controversially named) cannabis strains in recent times, owes her existence to what is perhaps one of the most fortunate mishaps in cannabis history. Deriving from the accidental pollination of a Sour Dubb by a hermaphrodite Chem Sister, Gorilla Glue is one of the most magnificent indica-dominant hybrids in the world! The strain, which won the Los Angeles Cup and the High Times Jamaican World Cup in 2014, is still raking in numerous awards today. Gorilla appears more or less like a typical hybrid with her medium-large structure, average internodal spacing, and light green leaves. She is not particularly difficult to grow, but can be a little sensitive to nutrients, so make sure you don’t overfeed her. The plant grows rather tall, reaching massive heights up to 3m outdoors. Grow her indoors, and pruning would be recommended. LST, topping, or some light defoliation are also recommended to boost yields. Following her speedy flowering period of 58–63 days, you can expect to get as much as 500g/m² in good indoor conditions, with yields up to 1kg/plant outside. Among Gorilla’s impressive stats is her massive resin production. The plant will produce an abundance of sticky trichomes, hence the name Gorilla Glue. Be careful when you handle her as the resin really will stick to everything. She has a complex and intensive flavour profile where she shows off a multitude of aromas. There are the strong diesel notes that she undoubtedly got from her Chem Sis and Chocolate Diesel parents, blended with pungent earthy notes. You can also taste some slightly tangy and sour nuances when you smoke this high-class cultivar. With 25% THC and her substantial production of terpenes, it isn’t too surprising that Gorilla is a spectacularly potent strain. She delivers a super-powerful, if not outright whirlwind indica effect that makes her a great variety for those who enjoy strong cannabis. Like a Gorilla barreling out of the jungle, her effect hits you fast and knocks you into an incredibly deep and relaxing indica stone. She contains very little CBD, but with her powerful sedating effect, she can be a good choice for medicinal users who prefer high-THC strains to help them with relieving pain, insomnia, and many other health conditions. Gorilla by Dinafem is an exquisite variant of the original Gorilla Glue. If you’re still looking for an ultra-potent indica to grow, look no further than the great Gorilla.